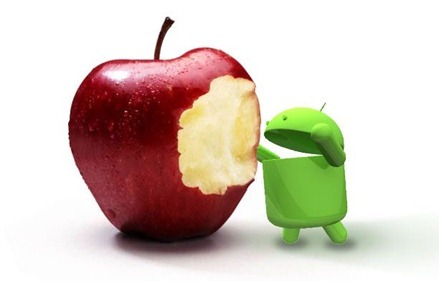 Google's Android Market may be slowly creeping up on Apple’s App Store when it comes to sheer numbers; however, the iPad is still boss with regards to tablet usage and traffic. As if that wasn’t obvious, a newly published study further vindicates Apple by noting that their iPad is responsible for the vast majority of non-computer web traffic worldwide. ComScore, an internet marketing research company, analyzed tagged web-page content and came to the conclusion that Apple’s iPad is responsible for 89% of tablet web traffic globally and 97% of traffic in the United States. In addition, the company’s research indicates that the iPad’s contribution to total non-computer internet usage (i.e. devices other than desktops, laptops and netbooks) was highest in Canada where it reached 33.5 percent. 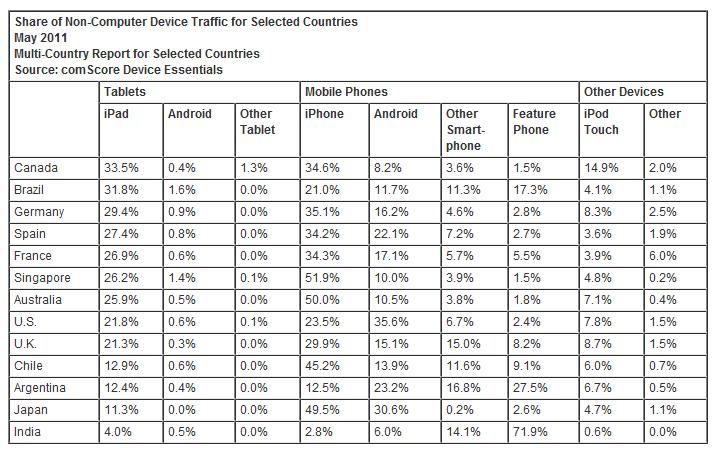 On the other hand, Android smartphones did manage to top iPhone internet traffic in the US, Argentina, and India but lagged behind in every other country analyzed. Interestingly, while the iPad overwhelmed Android tablets in total web traffic, a higher percentage of Android tablet users were connected to the web via Mobile Networks rather than Wi-Fi. It could be due to the higher price of 3G versions of the iPad or a lower tendency of Android tablet users to surf the web while at home; however, the numbers state that only 8.1% of iPad web usage was through Mobile Networks, compared to a 34.8% by Android tablets. Furthermore, Android smartphones also managed to outdo the iPhone in non-WiFi connectivity with a percentage of 78.3 compared to the iPhone's 52.5%. While these numbers do verify what we already knew about the iPad being top dog in the tablet market, it is intriguing to know that most iOS users are sticking to Wi-Fi for their main internet fix. Of course, ultimately what matters to the folks over at Cupertino is the total percentage of usage, and they definitely have a commanding lead in that battle.